In this Thursday, Oct. 19, 2017, file photo, people enter the Alaska state Capitol in Juneau. Officials are investigating the origin of a loose ballot and will decide by Friday, Nov. 30, whether to count it during a recount of the Fairbanks House District 1 race. Control of Alaska state government, at least for the next two years, could hinge on a mystery ballot that an election worker found on a table in a Fairbanks voting precinct more than three weeks ago. The uncounted ballot could break a tie in an Alaska state House race. A decision on whether to count it is expected Friday. The elections office has said the ballot appeared to be marked for Democrat Kathryn Dodge. If Republican Bart LeBon wins, the GOP would control the House, Senate and the governor's office. If Dodge wins, it would set off a mad dash between the parties to build a caucus of at least 21 members needed for a majority in the House. 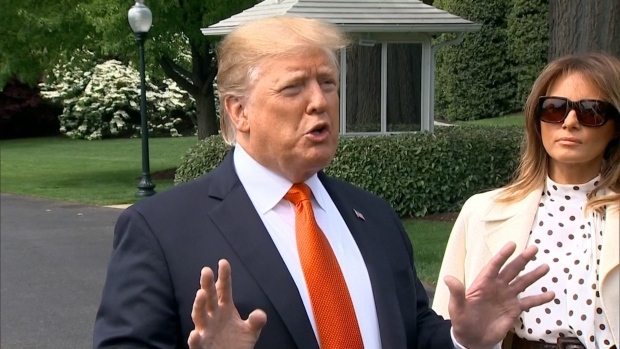 President Donald Trump said Wednesday he “assumes” special counsel Robert Mueller has looked at his taxes as part of his investigation. Justice Department spokesman Peter Carr said by email “we’ll decline to comment” when asked to confirm whether Mueller had obtained Trump’s tax returns. Officials said the ballot was found by an election worker on a precinct table on Election Day in a gray secrecy sleeve. It was not counted at the time and was included among ballot materials that arrived in Juneau last Friday for an election review. Officials were investigating the ballot before deciding whether to count it. Dodge was tied with LeBon with 2,661 votes apiece heading into a recount Friday. 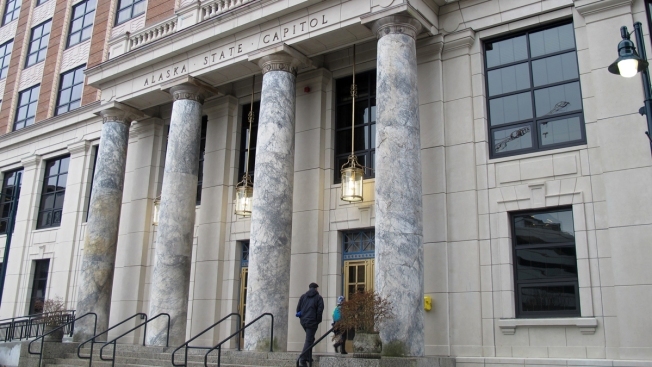 Dodge attorney Patrick Munson, in a letter to elections director Josie Bahnke, said Alaska law sets a high threshold for disqualifying a ballot. He said there were 366 ballots issued at the precinct on Election Day but just 365 were run through the optical scanner. He said it's likely this ballot was validly issued and voted and should be counted for Dodge. He also wants the Division of Elections to count for Dodge a ballot with ovals marked for her and LeBon but with an "X'' over the oval next to LeBon's name. That ballot wasn't counted for either candidate. "People kept calling it close," Dodge said of the race. "I just didn't know it was going to be squeaky." 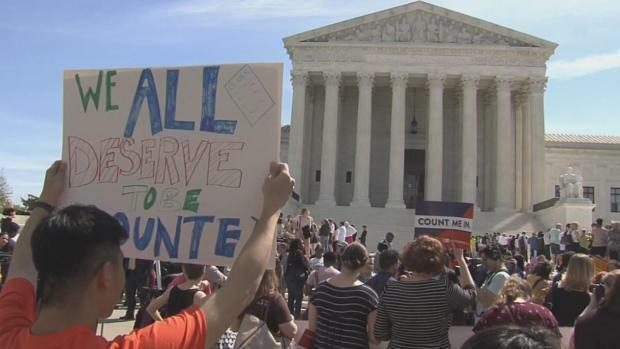 The Supreme Court heard arguments Tuesday over the Trump administration's plan to add a citizenship question to the 2020 census. There was a divide between the court's liberal and conservative justices during arguments in the case that could affect how many seats states have in the House of Representatives, as well as their share of federal funds for the next 10 years. If Dodge wins, the House would be split 20-20, between Republicans and the remnant of a coalition that is largely comprised of Democrats but includes two Republicans. For the candidates, it's been a three-week rollercoaster ride marked by lead changes before the tie was declared and by the appearance of the mystery ballot. Bahnke said she wants to ensure that every vote cast by an eligible voter is counted. LeBon, a retired banker, said he has questions about the handling of the ballot and expects a legal challenge from whoever loses the recount. He said questions about other ballots also could be raised during the recount. If the race remains tied after the recount and possible legal challenges, state law calls for a winner to be determined "by lot." A coin toss decided a tied House race in 2006. "I've come too far to have a coin toss settle this," LeBon said. Democrats are divided over whether to impeach President Donald Trump for obstructing the investigation into Russia interfering in the 2016 election. 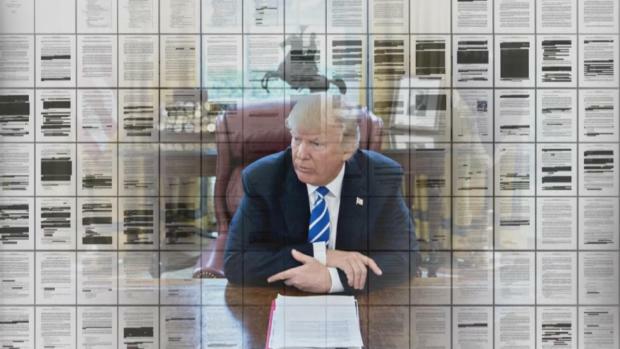 Some Democrats think there's already enough evidence to impeach President Trump, while others say it's a futile move without Republican buy-in. The current House speaker, Democrat Bryce Edgmon, won the 2006 primary through the coin toss on his way to being elected to the chamber later that year. He said he didn't recall the race being stressful, pointing out that he also had a good job in the fishing community of Dillingham to focus on if he had lost. On the day of the coin toss, he said his son fell sick and had to be taken to the emergency room, which occupied his attention much of the day. Remembering the coin toss is exciting, he said, but the experience is "not something I would wish for anybody to go through."